Jack Welch knows how to win. When he retired from General Electric (GE) in 2001, he received history’s biggest bonus of 417 million dollars. The reason? In his 20 years as CEO, he grew the company from $ 12 to $ 400 billion which also earned him a justified bonus of nearly half a billion dollars. In his career at General Electric, he successfully led the company for many years as CEO. His honest and straightforward style has become a benchmark in management, always focusing on people, teamwork, and profits. In Winning, he combines pragmatism with his philosophy of how to build a company to win. His optimistic and practical style brings us fantastic insights and a unique way of thinking that allows us to understand how to manage for success. Shall we go? YOUR MISSION AND ITS VALUES ARE THE FIRST STEPS TO WIN. Competition is fun, and you have to embrace it. 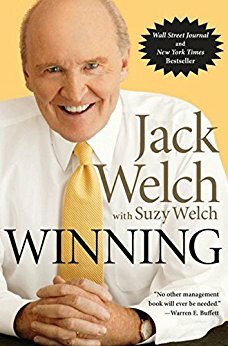 That is Jack Welch’s advice to anyone who really wants to win and one of the key lessons that permeate the whole book. But how to win in business? The answer to this question should be the mission of your company. Knowing what it is to succeed in your business means having clarity of the mission that it must pursue. At GE, the mission was simple. Be the number one or number two in all the markets they operate by fixing or getting rid of each of their businesses where this was not the case. That is a powerful mission: specific and audacious. Once you know what your mission is, your values will be the behaviors you use to be successful in your mission. For your mission and values to truly impact your business, you must always reward those who are faithful to them and punish those who are not. 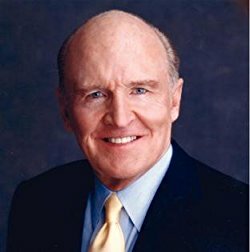 Jack Welch, for example, fired many people at General Electric for not fitting into the company’s mission and values, even if they were talented. In a company, integrity is essential. It should be expected of all people. For Jack, integrity is the ticket to play the game; if a person does not have integrity, he/she should never enter the field. To truly succeed in business, your company must always have the best ideas. A flow of great ideas is needed at all times, and your business needs to become a contagious ideas factory. Ideas should come not just from managers but from every person involved in the organization. The best way to achieve this is by creating an open environment where members freely talk about what they really think and believe. It is very common for people in business to not express themselves frankly. We tend to shy away from criticism and new ideas for fear of conflict or exposure. But honest communication brings many benefits. A free environment allows everyone to contribute ideas and improve them. When honest opinions are expressed loudly and quickly, proposals can be evaluated and, if necessary, overturned very fast. For sincerity to develop in your business, you need to be rewarding honest people all the time, even if it means putting yourself or others in a difficult situation. Sincerity is simply the biggest secret of business success. For Welch, one of the challenges at GE was that the ideas came from the management team, but only from a few very committed people. Most of the company’s professionals were a little afraid or felt under no obligation to speak, for no one else had asked for them. To counter this silence, they created Work-Out, which was a workshop to capture ideas that did not come up spontaneously. Work-Out works like this. The company brought together groups of more than 30 members, with an external facilitator. The manager of that group appeared at the beginning of the exercise, explained what they would do. Then, he promised that by the end of that day he would give a yes or no to 75% of the ideas that came up and the remaining 25% would be answered with yes or no in up to 30 days. The manager would then leave, and the group would release their ideas to the Work-Out facilitator. Without the presence of the manager, they were freer to compile their thoughts. At the end of the session, the manager would return, listen to all the team’s recommendations and make the decisions. Work-Outs led to an explosion of productivity, involving all in the company. A company is no different from a professional sports team. In sports, the best athletes are rewarded aggressively, and athletes who do not have good performances end up earning as little as possible and are often dismissed. It may seem cruel, but in the long run, people are happier working on what they are really good at, and if they are not showing up, you are doing them a favor by taking them out of the field. It’s better for them, and it’s better for the team. They would be happier elsewhere, where they know they can stand out. For you as a manager, taking care of setting up the best team is essential. Therefore, investing in human resources is crucial, and the most important step is to have a simple, fair and rigorous employee evaluation system. That helps you to know who your best players are and reward them accordingly. Jack Welch created the 20-70-10 rule to rank his employees at performance levels annually. The top 20 percent deserve praise, recognition, training and, of course, higher salaries and commissions. The worst 10% need to be released to go to other companies. It is hard to accept this at first, but this is the best decision for everyone, and they will find roles more appropriate to their talents in other companies in the future. The hardest part to manage is the average performance class: the 70%. They need to be motivated and engaged with daring goals so they can develop and reach the top 20%. Also, as in a team, your company needs to deal with people directly, never through the hierarchy. For communication to flow, you need to have an organization chart as horizontal as possible. The fewer layers of management, the better, after all, the more layers, the more inefficiencies the company creates. You need each employee to know exactly who he or she reports to and what their responsibilities are. They are mature – and therefore able to deal with stress and setbacks, respecting the emotions of others, they are self-confident and have a sense of humor. For Jack, the most important interview question to gauge a candidate’s communication and integrity is the following: Why did you leave your last job? And the one before that? Positive energy and the ability to energize others – If the person has a good energy level, he likes to make friends, work and live. To really succeed in a business people need to learn the business and this takes time. Persuasion and the ability to energize people are very helpful. Decision-making – employees need to be able to make difficult decisions, even when they do not have all the information needed. Execution ability – To make it happen, the person needs to be able to go beyond the decision and also put his/her hands in the dough. Passion – One has to really get carried away with work, overcome obstacles and help others around them win. 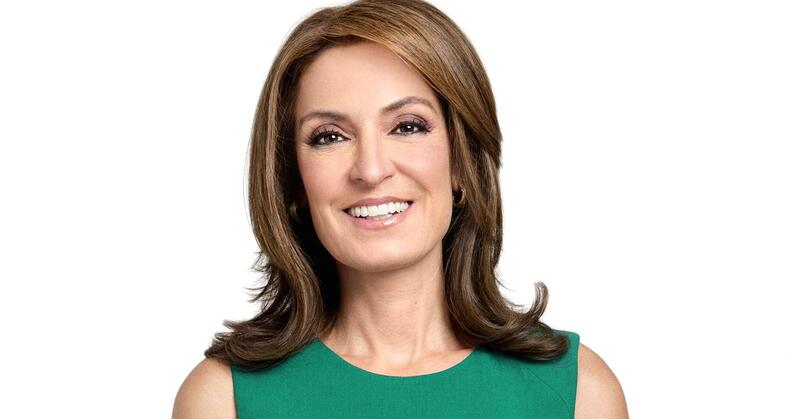 Authenticity – Be decisive and emphatic, without losing charisma. See beyond the obvious – Be able to anticipate what most do not see and bring some of the future now. Well connected – Being able to surround yourself with people smarter than yourself. Maximum resilience – Must have surpassed ups and downs and recovered to new heights. In addition to knowing how to hire, it is also important to be fair and transparent at the time of firing. There again comes the role of the 20-70-10 evaluation system. When the system is clear to everyone, there is no surprise for professionals who are performing poorly. A fair evaluation system makes it clear all the time to those who are not doing well that they are at risk and also what they can do to improve. That should be reported in each performance appraisal. Still, you have to release the low performers, and you have to be fair as well. Make it clear that you do not want to humiliate them, help them regain their self-confidence, and do everything possible to help them succeed. Help them to get a better job. Build confidence. Be honest, transparent and give credit to who deserves it. Make unpopular decisions. Your job is not to please everyone. Give it a try and push it. Make sure your questions are answered with actions. Always check and ask for next steps. Encourage people to take risks and learn; the easiest way to do this is to be an example and do both. By following these 8 principles, leadership comes naturally. In the current context, changes are the only certainty. Either you change, or you die. To make change easier in your company, Welch suggests that you always let everyone in the company understand the reason for the change. This generates understanding and change does not seem like a whim. You also need to hire and promote only those who want to buy the idea of change, by laying off people who create resistance. Every change creates new opportunities. If the real estate market is in trouble, a good strategy is to buy real estate. If a company in the market speaks, consider buying parts of it at a price attractive to your business. Buy low-valued companies when the market goes into recession. It is hard to counter market analysts and unbelievers, but this can generate huge profits. Beyond change, crises will always appear. Welch recounts several situations where GE was caught in a totally unpredictable crisis. In one situation, GE was accused of defrauding the US government of tampering with data from workers at a missile factory. In another case, a commercial manager attempted to bribe an Israeli Air Force general. To overcome them, Jack suggests that you adopt some mental premises: Face the crisis as if it were worse than you think. Imagine also that the press will treat you in the worst possible way, defaming you. Throughout the market, changes will need to be made, and blood will stain the floor. But in the end, you will survive, smarter and stronger. If you want to win, choose a direction you believe in and execute, rather than thinking about the strategy itself. You obviously need to think about it and have a chance for a sustainable competitive advantage, a great time when you think “AHA!”, but it is during execution that you win. Once you have this strategy, form a team that is capable of making it happen. Bring together the best generals to head in the planned direction. You have to be tireless to achieve your goal, always obsessed with finding the best way. It is the focus on continuous improvement that will take you there and not the hypothesis itself. Does your company plan annual budgets? 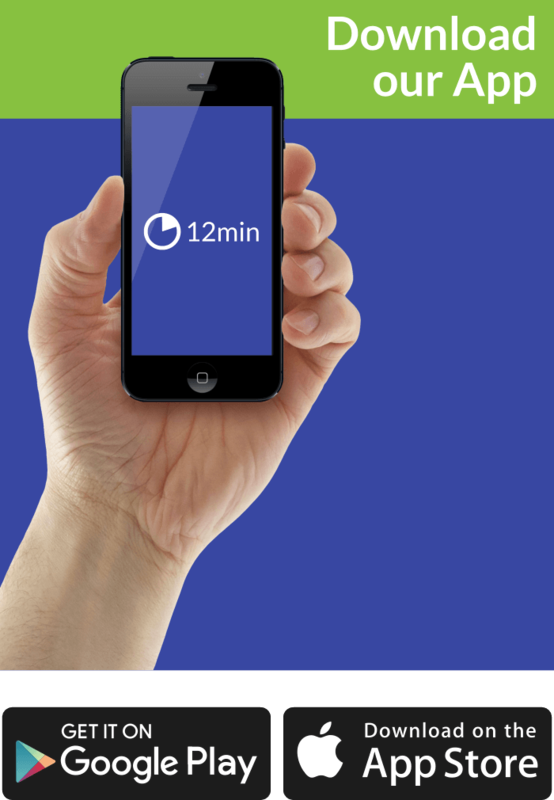 It is one of the most ineffective workouts in every business, and you should cut yours out. Designing a budget is a game that leads to negotiations where everyone loses, and the goals of the company are compromised. Rather than creating an annual budget, you need flexible operational plans. Instead of annual goals, you need overcoming goals that can be revised as time goes by, in short cycles, less than 1 year. These plans should be discussed openly for the purpose of maximizing profit growth and then allocating investments and setting goals according to the plan. The traditional model of annual budgets leads to the celebration of results that would not merit celebrations, such as when the goal is reached, but the company’s competitors are doing better. Another scenario would be, for example, when a department is doing bad but should have its performance reconsidered if all other competitors were much worse. Assemble your plan and allocate investments according to your execution to have more agility. Launching a new product or entering a new market is challenging, but to succeed you need to focus and pay attention to the new initiative. No new venture survives scarce investments and a dull team, so invest accordingly and put the right talents from the beginning. Encourage them to take risks, but also be diligent in managing the new business. When it comes to buying existing companies, the first step is not to get carried away. In the heat of the moment, you can see too many synergies, opportunities for cost reductions, consolidation in the industry and this may cloud your judgment. Stop to evaluate all the potential pitfalls before you get excited about buying another company from the market. Save your energy and excitement for the integration phase of the business if you choose to acquire the company. If the deal is good and you move forward, create an integration plan of no more than 90 days and make it clear that the buyer must take the lead and the planning after the merger. Remember also to get rid of those who are resistant to change and to promote those who are committed to it. It’s hard to know what you want to do when you’re just getting started. But finding the right job and career for you is extremely rewarding. You will only be able to really enjoy your job when there is genuine enthusiasm. The right way to do this is through the iteration. Think about what things are important to you and what choices you are willing to make, what things you are willing to sacrifice and so find a job that suits you. Even if the first job is not right for you, it will teach you more about what you are looking for and help you choose the next one. Do not stop until you are really happy and fulfilled where you are. You should also consider how you handle people at work and what kind of growth and career opportunities the job offers but, at the end of the day, you need to feel that it has a personal meaning for you. Follow your dreams; life is too short to live the dreams of another person. And one last tip: if you are looking for a new opportunity, never quit the previous one. Most companies prefer to hire someone who is currently working. And if you have a job, be good at it. Nothing is going to have to give a new job faster than being fantastic at your current job. Once your career has begun, to grow in it you need to be able to exceed people’s expectations. Everyone wants to be positively surprised. Promise less and give more. Be optimistic, execute with mastery, and seek to do more than expected. Start new things, take the initiative and do the things that other people put aside for lack of time. Involve people in these projects, both your bosses and your subordinates. Listen to everyone and ask for help. Another important advice from Jack is to never hamper his boss life. If you always need him to save your skin, understand why and stop. Never resist new company initiatives, live up to its values and let it go well on tape. Even with exceptional performance, if you make his life more difficult, your career will be in a bad shape. Your boss may be concerned about your personal life, but he is also concerned about the company’s performance. Your exceptional performance should always be heard when you need to adjust the balance between your personal life and your work. For Jack, it is important that you separate personal from work. Work is 100% work and, if you are at home, be 100% present for your family. Make the priorities of your life clear to you. Once they are clear, feel comfortable to say no to the things that get in the way of your priorities. Never forget them and always move towards them. That’s how you will achieve your purpose. To be able to win, you must always evaluate your performance and that of your people. You need to have focus, a clear mission, and values that lead you towards your mission. Also, life is much easier when you are an honest and positive person. Reinforce these behaviors, and you will grow personally and professionally. PS: What are you waiting for to buy this book?